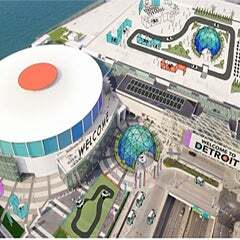 DETROIT November 14, 2017 -- Claude Molinari, general manager of SMG/Cobo Center, today announced the facility’s plan to install a visitor observation area near the living green roof at Cobo Center at the old heliport location on the roof deck. 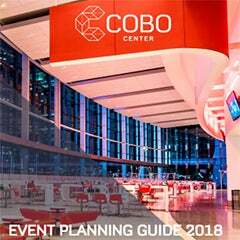 Prior to the 2018 North American International Auto Show Jan. 13-28, Cobo will also make nursing mother lactation stations available to employees and visitors. In 2017, a local Detroit organization called Bees in the D installed four honey bee hives adjacent to the living roof at Cobo Center to establish Cobo as a foster hive site. Honey harvested from the hives is used in Cobo kitchens and offered to its customers. Bees in the D’s mission is to create a cooperative effort between residents, schools, organizations, and businesses in the city of Detroit and Southeast Michigan. The organization aims to contribute to both the health of honey bee colonies and the education of their importance to the environment. The four hives that make their home on Cobo’s green roof are a perfect example of this mission. 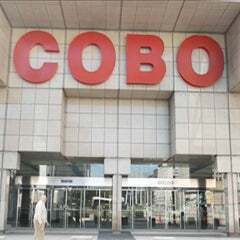 “Not only do we have the chance to physically share our mission with the Cobo team, we have infinite opportunities to share our story and green mission with more than a million visitors to Cobo each year,” Peterson-Roest added. The 10,000 square-foot living green roof was installed at Cobo Center as part of the recent $279 million renovation, and creates a natural habitat for birds and insects as well as providing insulation to cool and heat the building. Twelve varieties of sedum are planted over a waterproofing membrane with layers of root barrier and natural drainage. Runoff rainwater is reused and distributed through the irrigation system to water the green roof. A living roof observation area off the south fifth floor entrance to the facility from the rooftop parking structure is planned for installation in 2018. Signage, murals and other informative items will educate visitors on all of the sustainable projects they can see through the floor to ceiling windows overlooking the living green roof from that entrance. Lovio George Communications, an advertising and public relations agency with a long history in Detroit, will be creating the educational signage. Two portable Mamava suites will arrive in January, prior to the 2018 NAIAS, with benches, tables, mirrors and electricity for use by nursing mothers. The lactation stations can be moved to other parts of the facility depending on the event needs and will be used by staff, customers and visitors. They can be locked with a mobile app and Bluetooth enabled smart lock.